Eager to avoid the complications that may arise if viral vectors are used to deliver components of the CRISPR/Cas9 gene-editing system, researchers have been busy developing nonviral nanoparticle carriers, such as lipid, polymeric, and gold nanoparticles. Now, at MIT, researchers have developed a new lipid nanoparticle that has an interesting twist: It packs chemically modified single guide RNA (sgRNA). 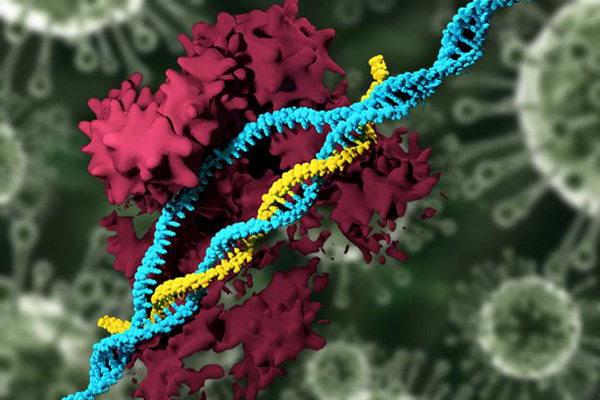 By enhancing sgRNA, the researchers hope to protect it against nuclease degradation, and thereby boost efficiency of the overall CRISPR/Cas9 gene-editing system.